Citron invested in Lyft ahead of its initial public offering and has continued to buy shares in the open market. 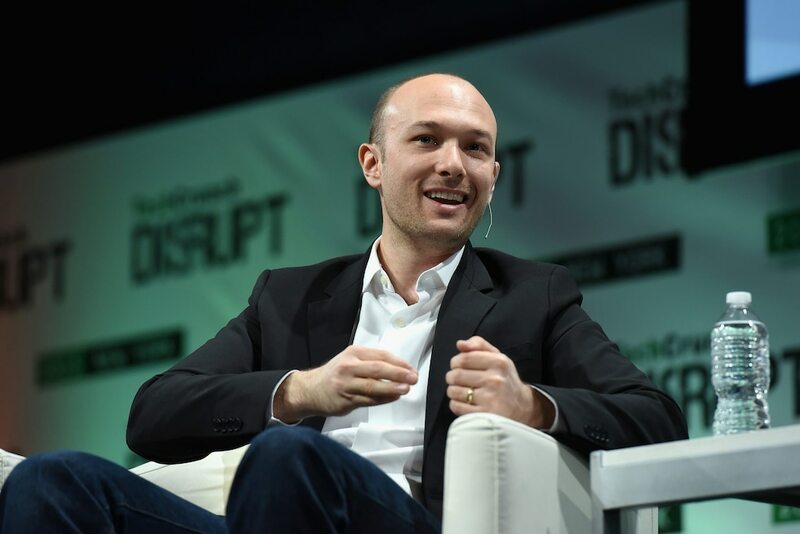 Lyft short bets have neared almost $1 billion in the company’s first week as a publicly traded company, with plenty of “dry powder” for further bets, said Ihor Dusaniwsky, the managing director of predictive analytics at S3 Partners, a financial-analytics firm. The company’s IPO was notably volatile, with shares falling 20% in its first few days of trading. 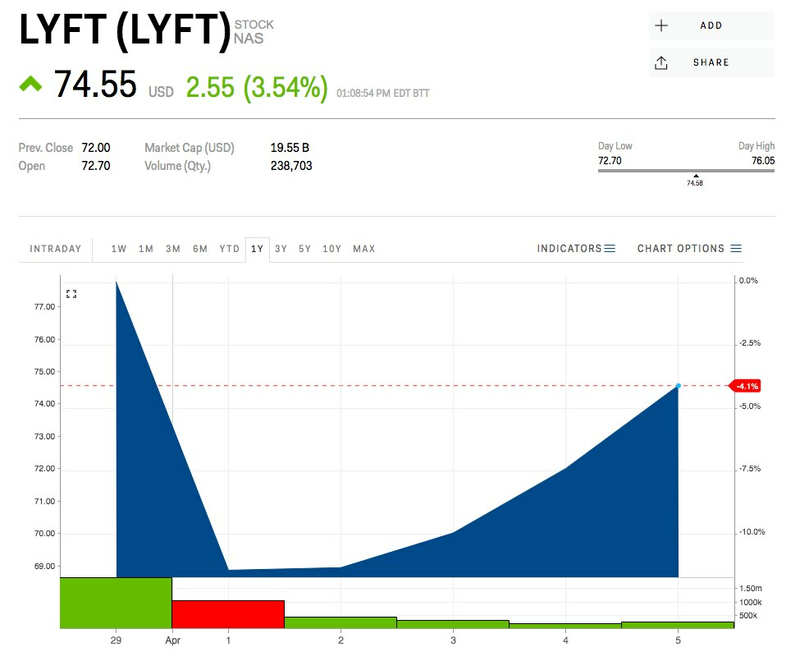 Lyft opened for trading at $87.24 and subsequently fell below its IPO price of $72 before partially recovering on Friday. Citron said it has 25 years’ experience shorting stocks, which have included Wayfair and Tesla, and listed several reasons Lyft is not a suitable short candidate. Citron cites the following reasons not to be short Lyft. Active riders have grown more than 500% over the past three years, with use among millennials exponentially higher than older cohorts. This indicates the number of active riders will grow significantly as this cohort ages. Over 70 million people will turn 18 over the next 17 years, many of whom will opt for ride hailing and sharing over vehicle ownership, Citron says. Similar to Amazon, ride-hailing users repeatedly use the company’s services, lowering its customer-acquisition costs, Citron said. Ride hailing and sharing are time-saving benefits well in excess of alternatives, implying potential pricing power. Teenagers are no longer tied to their cars, as 16-year-olds with driver’s licenses declined from 46% in 1983 to 26% in 2016. This trend is likely to continue, signaling increased demand for ride hailing and sharing, according to Citron. “This is not a trendy video game or a GoPro camera … this is a way of life that is saving people time and ensuring safety. Ridesharing is not a fad … it is a megatrend,” Citron said. According to preliminary IPO valuations, Uber may go public at a $120 billion valuation. This is a significant premium to Lyft, about six times its public-market valuation despite it taking share in the US market. The two companies control 99% of the market, however. Lyft’s share has risen from 22% in 2016 to 39% in 2018. Lyft has made significant moves to position itself in the autonomous-vehicle market. In 2018, Lyft reached 5,000 paid self-driving rides in Las Vegas, Citron said. In addition, if ride hailing and sharing adopt a subscription model, Lyft and Uber will have Amazon-like prospects and effectively lock in customers and prevent the competition from scaling. Finally, Citron says that while Lyft lost over $900 million last year, so too did tech giants Amazon, Netflix, and Square in their early days — all of which have produced spectacular returns.